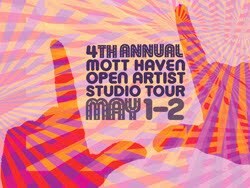 The 4th Annual Mott Haven Open Artist Studio Tour will take place this weekend. There will be a kickoff party this evening, 4/30, at 112 Lincoln Avenue with live bands and a preview show of the artworks you'll be able to see in the studios this weekend. The Bronx Culture Trolley will be on hand Saturday, 5/1, from 12pm to 5pm to take participants from one studio to the next. Don't worry - if you're planning on attending the Bronx Food Summit on Saturday, the artists' studios will again be open from 12pm to 6pm on Sunday. A friend of ours just let us know that next week is "Wildflower Week" in NYC. Beginning this Saturday, 5/1, Wildflower Week will offer tons of free cultural programming all over the city in order to encourage New Yorkers to connect with the parks and natural areas that surround them. 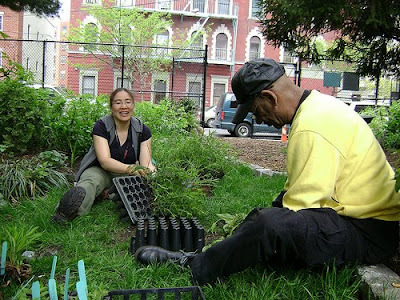 There will be a few different events taking place in the Bronx, including Botanical Walks at Hunter Island in Pelham Bay Park and the New York Botanical Garden, a Garden Tour at Wave Hill, a Children's Event at the Point CDC, and a Butterfly Project Workshop and Native Plant Giveaway at the A. Badillo Community Rose Garden (924 Melrose Avenue at 163rd Street). Please click here to check out the full lineup of programming being offered throughout the city in conjunction with NYC Wildflower Week. The concert will take place at the Riverdale Temple (4545 Independence Avenue). There is plentiful free parking. Tickets are $35 ($25 for seniors; $15 for students) and are available on the website or at the door on the day of the concert. It is recommended that you purchase tickets in advance. If you have any questions, please contact (917) 689-1211 or info@sinfoniettanyc.org. As one member of Mr. Liu’s task force, Julia Vitullo-Martin, put it, a “new weird principle” had been grafted onto the “perfectly legitimate” idea that a developer should try to mitigate the effects of gentrification. As city dwellers, most of us daydream of having a nice outdoor space to fire up a BBQ, crack open a cold one, and cook up some nice comfort food. 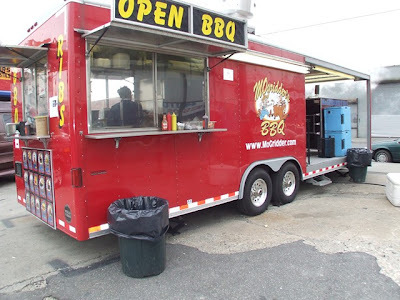 Well, if you've got enough balls (and cash), you can fulfill that dream by snatching up the Mo Gridder's Competition BBQ Trailer, which has been featured on many Food Network programs and is quite well-known to foodies in the NYC metro area. No word on what's actually happening with the business...We were surprised to see that the newish restaurant annex of Mo Gridder's in the Belmont section of the Bronx was closed when we walked past on a Saturday night during prime dinner hours recently. Their website says the restaurant is closed for renovations, but geez, since the place opened a few years ago it seems that it's been closed more than it's been open. Well, if any of you readers end up buying this baby, please do invite us over for some ribs and pulled pork soon. Click HERE to view the full listing for this property. BD Note: We've yet to visit Coqui Mexicano, but it sounds like a great place. We're wondering...What is the reason for the eviction? Are they behind on rent? Is it healthcode violations? We trust the Mayor of Melrose will fill us in on the scoop. Folks are saying that gentrification is playing a role in the potential closing of the eatery due to the fact that there is a lot of new construction happening in the area. Two thoughts regarding the gentrification speculation: 1) I thought most of the new construction happening in Melrose was affordable housing. 2) If Coqui Mexicano is simply way behind on their rent, isn't the eviction just a dollars and cents issue? Give us the scoop, Mayor! Please click here to purchase tickets or find out other ways that you can show your support for BronxWorks. Update: Thanks to a BD commenter for pointing out that Espada also sat down with WABC's Diana Williams...Click here to check out the video - interview starts at 3:30. Espada's attempts to defend himself are laughable. BD Note: Okay, usually the commenters on the Daily News website are kind of wackadoos, but I can't help but agree with commenter RickEvans033050 on this one. He writes, "Hiding a pollution problem by covering it up with perfume odor is more befitting the polluter than the "enviro-guru". I'm VERY disappointed." Mall Opens in Queens and Employees Feel "Relief"
Relief seems to be the predominant emotion among the workers within the new stores. Almost every one of them approached had spent considerable time unemployed. Lindora Holmes, 57, another Century 21 salesperson, said she was jobless for more than two years, after she was laid off by an auto parts manufacturer in Long Island City. I'll give you one guess as to where I'm going with all this...that's right, I'm wondering how the new employees at The Shops at Kingsbridge Armory would have felt about actually having landed employment with a shot of upward mobility in this shiteous economy if Related's plans had actually moved forward. And before you all shout "subsidies, subsidies!!" at me, please click here to read a helpful comment from BD Reader Jay Shuffield pointing out some of the misconceptions surrounding the subsidies that Related (not the actual retailers) were set to get from the City in the now defunct Armory deal. I just couldn't let the week end without bringing up the Kingsbridge Armory, could I? I know, I'm annoying! Kids plant, tend, and harvest fresh produce with the help of instructors through the New York Botanical Garden’s celebrated Children’s Gardening Program. As featured on NBC Nightly News, the program allows kids the chance to cook and eat vegetables, meet new friends, and make a lasting connection with nature. Age-appropriate activities are offered in two special programs in the Ruth Rea Howell Family Garden: Garden Sprouts (ages 3-5) and Garden Crafters (ages 6-12). Secure your tot’s spot in Garden Sprouts this spring! There’s still room in Sections B (May 5 – June 9) and D (May 7 – June 11) starting next month. Please click here to access the brochure with all registration information. You can also pre-register for Summer Sprouts and Crafters starting in July. Please click here to find out about more family activities at NYBG. BD Note: Rev. 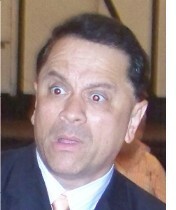 Isribo Bolanos even promised one man a position which paid $11,000/month. The would-be employee believed the job was legit because Bolanos has been saying that he received a grant from World Vision, an international relief agency. These promises of big fat paychecks and free Lexuses should have been the first warning flag that Bolanos was a con artist - everybody knows that only Pedro Espada Jr. makes that kind of bank working in the non-profit world. Update: Just received the following clarifications from David Gonzalez, the writer of the above mentioned pieces: "The Lexus, $5K and buildings were promised only to a small circle of pastors who were his "Executive Council." Also, the man I used as my lead, Mr. Malagon, was offered $11K/month as the combined salaries for him, his wife and his daughter. 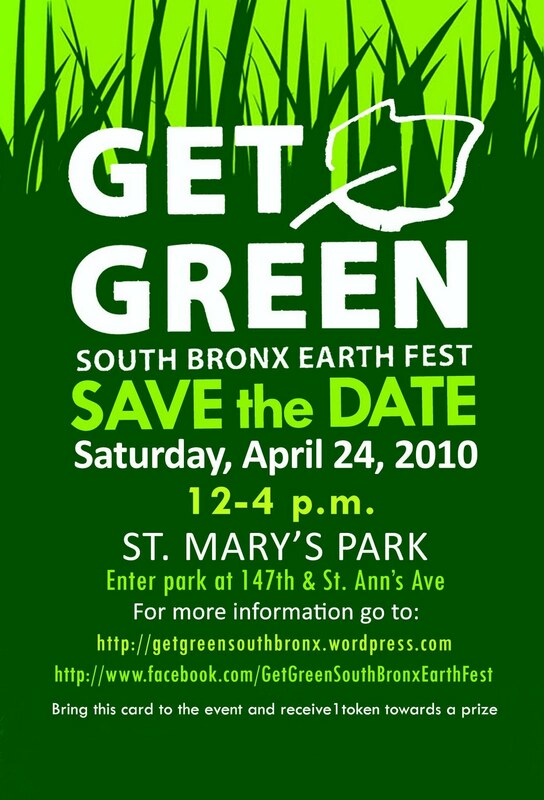 Friday, 4/24, from 12pm to 4pm, St. Mary's Park (St. Ann's Avenue and 147th Street) will be the site of the 2010 Get Green South Bronx Earth Fest. Clean out your apartment and head on down to properly dispose of your electronic equipment and clothes, as well as learn about a variety of green initiatives and sustainability issues. Please click here to access the website for the event for more info. You can also click here to access the event's Facebook page. As most of you probably know by now, part of Mayor Bloomberg's proposed plan to balance the City budget includes a series of cuts that will amount to an approximately 30% budget reduction for community boards across the city. Community Board 7 is asking residents to voice their concerns regarding this issue by printing out the below petition, signing it, and sending it into City Hall. We're printing ours out right now! This video seems to be making the rounds pretty quickly on the interweb and we figured we'd post it because, well, it's not everyday the Fordham Rams sports teams do anything that impresses us! *Update: Here's a link to a Daily News article about the play. Bring FreshDirect to the Bronx! If you read the ole BD regularly, you know there was quite a kerfuffle following a post about FreshDirect's new initiative to deliver their convenient products to Westchester County. A BD reader emailed and expressed her frustration that FD would literally be driving through the BoogieDown to deliver food, but not deign to stop in non-Riverdale Bronx nabes. For some reason a Riverdale resident found it rather objectionable that the demographic hoi polloi of the Northwest Bronx would desire or could afford to buy groceries. The customer service person I spoke to said that FD does not do market research into per capita income, or other such statistics to decide why and where to expand. In fact, he indicated that they generally respond to demand voiced through phone calls and emails. The end result of the call: Fresh Direct would love to service the Northwest non-Riverdale Bronx; we just need to ask them. So I implore you, dear readers, to call FD's corporate number between the hours of 8am-5pm (718-928-1000) to request service to your part of the Bronx. You should also email FD on their website. Additionally, you can simply go to their website and create an account with your address - if enough accounts are created, they will extend services! To do this, first enter your zip code in the purple box at the bottom of the homepage that says "Find out if we're delivering to your neighborhood!" You will most likely be directed to a page that says "Home Delivery Not Available In Your Area." Beneath that message, enter your email. You'll be taken to a page that says "Welcome to Fresh Direct!" At the top of the page click on "New Customer? Sign Up." Enter all of your contact into here, and you've officially created an account. Ansd lastly, make sure to join the newly formed facebook group "Bring FreshDirect to the NorthWest Bronx!!" (generously set up and run by BD reader Lis). Not from the NW Bronx? Establish your own Facebook group (and still call and email FreshDirect), and be sure to let us know about it so we can update this post with links to your groups. FreshDirect made it very clear that they would love to service the Bronx, they just need to know about Bronxites' desire to be served! Ruben Diaz Jr. is the Bronx borough president. He's Democrat, like Espada. Except now he thinks the time has come for Espada to get off the stage. "I think that when you have such a cloud over your head, I think that he should seriously think, and consider taking care of these problems right now, and maybe stepping aside," he told CBS 2. We're sure Rubencito's suggestion that Espada step down has nothing to with the latter's suggesting that the former's job should be eliminated to help close the state's massive budget hole. Here's an idea for closing the budget: don't steal $14,000,0000. Labels: Pedro Espada Jr., Ruben Diaz Jr.
We recently received this infuriating email from a BD reader...Grrrr, so frustrating! per square mile here than they do in Westchester. For those of you who don't know, the Fresh Direct warehouse is located in Long Island City, Queens. So yep, they'll be cutting through the BoogieDown in order to bring a convenient grocery shopping option to our neighbors up in Westchester, and even some in Connecticut! The Washington Post (from the AP) is reporting that FBI and IRS agents have raided Pedro Espada's Soundview HealthCare Network a day after AG Cuomo released a damaging complaint against Espada's shady financial dealing with Soundview. Is this another investigation to add to the ever growing list? Agents were seen removing boxes, files, and campaign materials from Soundview. Let's see what the big boys find! Just resign already, Petey. Just resign. So I am sure you've all heard about the complaint filed by AG Cuomo against Pedro Espada and his use of the "non-profit" (yes, they are sarcastic quotation marks) Soundview Health Center. If you haven't seen the nitty-gritty yet, here a few articles and blog posts with all the sordid details from the NY Times, BxNN, and the Liz Benjamin-less Daily Politics. The ole BD isn't surprised at all, and we hope that this civil complaint becomes the much deserved criminal charges Westchester Pete has been dodging for years. Pedro learned his poverty pimp methods from the best. I am Pedro Espada and I speak for the poor. I speak for them so they don't ask for more. More housing, more jobs, more schools they might ask. My poverty act is a difficult task. I'm a tough talking millionaire who speaks for the poor. Here's hoping that the Bronx won't stand for this nonsense in the September primaries: vote for either of the challengers - anyone but Pedro. 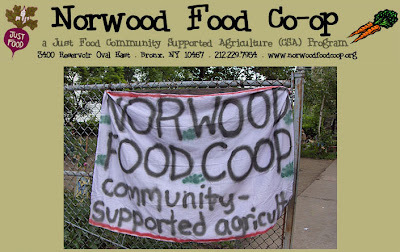 The Norwood Food Coop CSA is accepting members for the 2010 summer share. Members receive a share of the weekly local organic vegetable harvest from Norwich Meadows Farm, usually 5-8 different items per week. Past seasons have included deliveries of tomatoes, lettuce, squash, peppers, beans, beets, carrots, onions, and potatoes. Members can also order additional special items for a cost like fruit, cheese, milk, eggs, and more. The season lasts from mid-June to early November; single shares, which feed 2-3 people per week, cost $315. Weekly pick-up takes place in Norwood on 206th Street at Epiphany Lutheran Church. Food stamps/EBT are accepted. 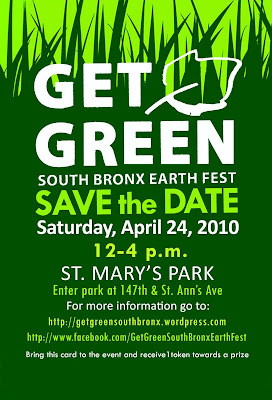 For more information visit www.norwoodfoodcoop.org or call (718) 514-3305. Bronx Borough President Ruben Diaz Jr. will be hosting a community meeting regarding the proposed historic preservation of the Grand Concourse tomorrow evening, 4/20, at 7pm at the Bronx Museum of the Arts. Please see the flyer below for additional details. Labels: Grand Concourse, Ruben Diaz Jr.
BD Note: The article refers to Lehman College as being in Van Cortlandt Village...er, what?? Espada Up in Smoke? Connecting the Dots. Phony addresses on either side of the state, sleazy political veterans, and large sums of money might, just might (pretty please! ), be the investigation that breaks the camel's back for Pedro Espada. WCSBTV-2 and Marcia Kramer broke the story that the feds are investigating Westchester Pete's connections to a company called A-1 Multiservices, LLC, reportedly run by Espada's son and said to be located at a cigar shop (pictured below, courtesy of ErLu) on 2384 Hughes Avenue in the Belmont section of the Bronx. 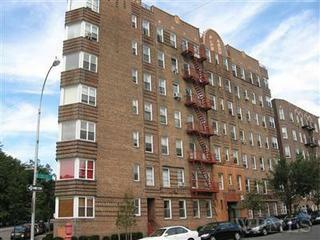 "I don't know who this guy is," landlord Salvatore Dimaggio said. "Nobody ever told me that name." It turns out that the company paying A-1 is a similarly shadowy entity on the other side of the state with ties to Espada's post-coup $150K/year counsel, Steve Pigeon. The clandestine company funneling money to A-1 is a GDP Consulting, whose address state records indicate as 7305 Porter Road in Niagra Falls, NY (pictured below, courtesy of Charles Lewis/Buffalo News). The only problem? 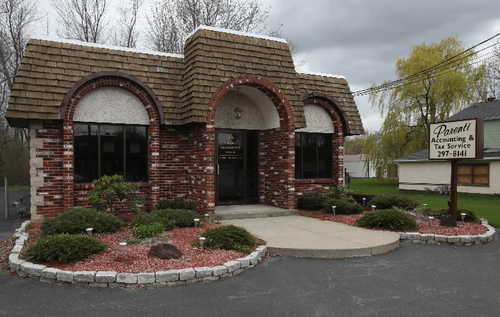 The Buffalo News is reporting that said address is actually the home to Parenti Accounting Group. The Buffalo News is also reporting that there is absolutely no physical or material indication of GDP sharing the space on Porter Road with Parenti. Although, there does seem to be some connection to Steve Pigeon. But what ties, if any, Gary Parenti might have to GDP remains unclear. I don't know about you, but this whole situation sounds awfully fishy to me. I think I smell Tom Golisano involved in this. There always needs to be a money man, right? Golisano and Pigeon's relationship centered around political spending and maneuvering is long. It kind of makes sense when you learn that GDP was formed July 23, 2009 - a mere two weeks after the Golisano-backed (funded?) coup propelled Espada to Majority leader ended. Maybe we should add any payments from GDP to A-1 to the list of ways people profited from the coup. A nice free event for this Sunday...see the flyer below for details. The Bronx Throwdown @ The Greene Space on 4/30! Back in February we posted that WNYC's 'Battle of the Boroughs' was accepting submissions from unsigned bands and ensembles, instrumentalists, singers, DJs, spoken word artists and performance artists of all genres. Well, artists from each borough have now been selected to battle it out in the First Fridays signature series in The Greene Space, which is WNYC's new street-level, state of the art performance venue in Lower Manhattan. The Bronx lineup will be announced this Monday, 4/19! For just $15, you can attend the 'Bronx Throwdown' on Friday, 4/30, and be among the exclusive in-house audience that will get to vote on the top five artists of the evening. Beer, wine and snacks are on the house! Click here for all the details or to purchase tickets. BD Note: I can't believe I'm actually saying this, but I actually agree with Pedro on this one...I'd love to see the community boards have more significant power because they're made up of residents who actually LIVE in the community (kinda funny that Pedro of all people is fighting to increase their power when you think about it), not just politicians who always seem to have a loftier end goal than the positions they are currently in. Well, it's official - Desiree Pilgrim-Hunter will be challenging Senate Majority Leader Pedro Espada Jr. in the September primary. The Albany Project reports that Pilgrim-Hunter will kick-off her campaign this Saturday, 4/17, outside of the Bronx Library Center at 11am. Click here to read the Albany Project's piece for more info. Below is Bronx BP Ruben Diaz Jr.'s appearance on Gary Axelbank's BronxTalk Monday night. Gary has an interesting sit-down with Diaz in which they touch on a variety of issues, including the Kingsbridge Armory, development, sheltering the homeless in the Bronx, the Charter Revision Commission, charter schools, mayoral control of schools, and more. The only real news regarding the Armory is that the newly developed Kingsbridge Armory Task Force will have their first meeting to tour the Armory on April 28th, and Diaz hopes they'll come up with possible development solutions for the Armory within 6 to 12 months. Labels: BronxTalk, Ruben Diaz Jr. This renovated one bedroom unit is actually located in a brownstone that BoogieDowner always oooohs and aaaahs over whenever we're down in Mott Haven...it's just one of the cutest (and clearly lovingly maintained) homes in the area! Beautiful, spacious one bedroom apartment in a landmarked, 19th century brownstone. Featuring three skylights, 12 to 14 foot ceilings, five large windows and exposed brick walls, this apartment is located in Mott Haven, South Bronx and is 10 minutes from Manhattan, 20 minutes from midtown, and is conveniently close to interstates 87, 287 and 95 as well as to the RFK, GW and Throgsneck bridges. The apartment is the top floor of our home and includes a private entrance, its own washer-dryer unit, a CO alarm and monitored smoke detector, and ALL utilities included (heat, hot water, electric, gas, internet and cable). We are pet friendly, too. The apartment is available immediately for $1,500 per month unfurnished, $1,600 per month partially furnished (double bed, 2 dressers, bookcases & table and chairs, TV, DVD player). 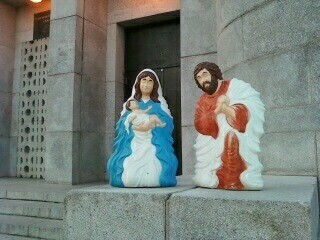 No fee, security deposit of one month's rent. This is an owner occupied building. We are a professional, married couple with close ties to our block and we want a tenant who will also be a good neighbor. Please be considerate and responsible. Did you guys catch that there's a washer-dyer combo in the unit - ahhhh, sounds heavenly. Below is a flyer with images of the unit. 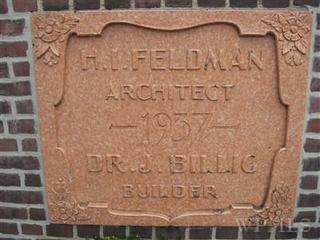 If you're interested in getting more info, please call Don at (718) 570-6321.